Take charge of any promotion! 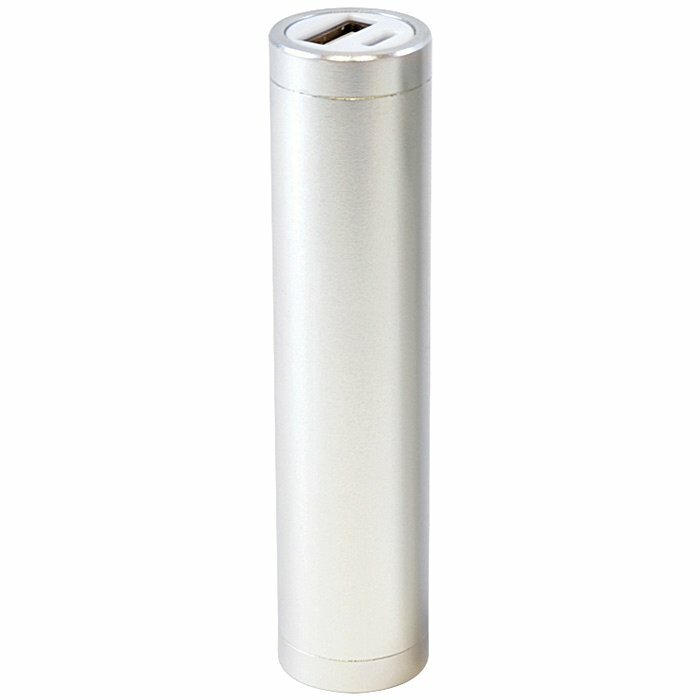 Power banks are portable chargers for mobile phones/tablets and are for carrying as back-up battery power when a mains connection is not available. To charge the power bank just plug into a computer USB port using the cable provided. To boost your device when you're out and about, just connect it with the USB cable. Offers 2600 mAh (which is the measure of charge the power bank holds). Supplied in a white card box. 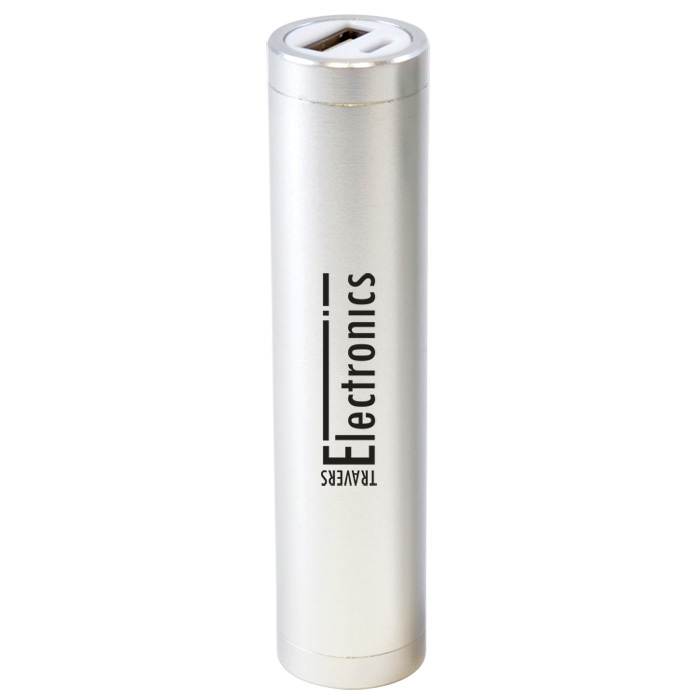 For alternative imprinting methods this power bank can be engraved or printed in full colour. 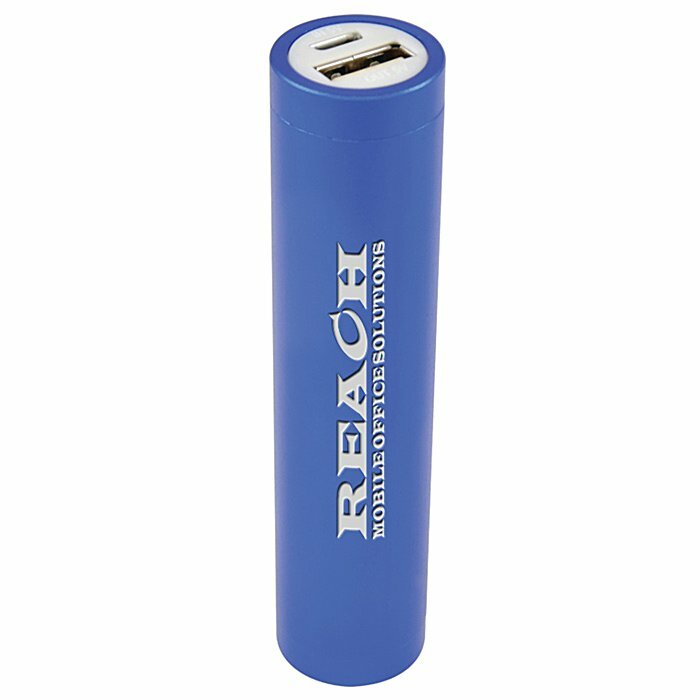 For orders of 500 power banks or less (with a 1 colour print) we also offer an express service on this item. 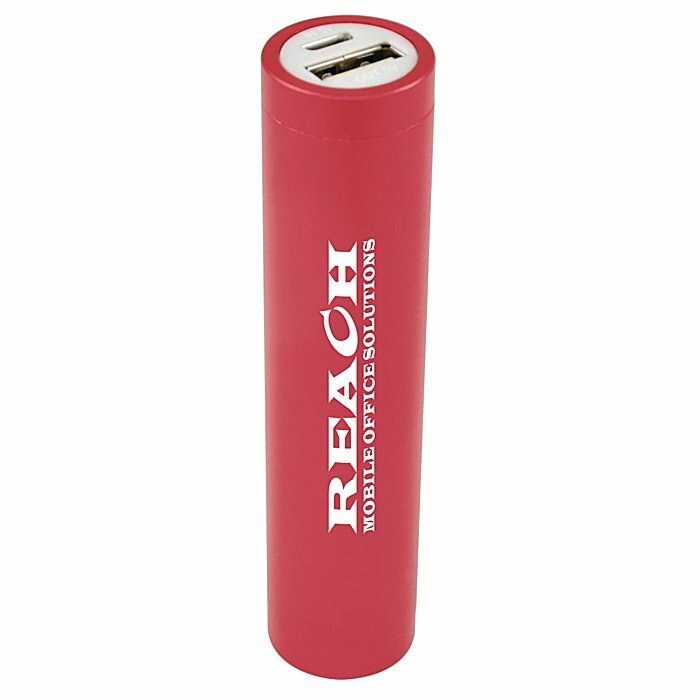 Price includes a 1 colour print to one side of the power bank. Dimensions: 93 x 22mm diameter. Print area: 50 x 20mm.